There’s a fine line between a horror books and thrillers, and that line is often blurred. We’ve touched on the Best Horror Books already, a list rife with paranormal monsters and unexpected phenomena. While those types of stories have long had the ability to give goosebumps in those of us with even the steeliest nerves, a good thriller is a bit more grounded in plausibility and the monsters are usually flesh and bone humans with the potential for great evil rather than something from another plane of existence. We’ve also touched upon Best Stephen King Books already, otherwise Misery certainly would be in contention. And The Girl With the Dragon Tattoo series gets the adrenaline pumping as well, but was featured in our Best Mystery Novels list. But below we have five of the most pulse-pounding thrillers ever to grace the page, filled with crimes and intrigue by very human monsters (one even a non-fiction book) and also one instance of the supernatural aided by a group of mortals with nothing but treachery in mind. Check out these titles and you’ll probably also check the closets before you go to bed. 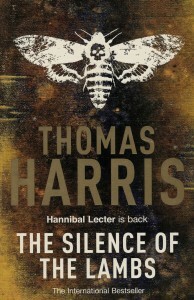 The terrifying murderous genius of Hannibal Lecter may have first made it to the page in Harris’ Red Dragon, but in this much more famous sequel he (while behind bars) actually uses a twisted game of cat and mouse to aid young FBI agent Clarice Starling in solving the mystery of a horrific serial killer who has been abducting women and dumping their corpses with moth pupae lodged deep in their throats and large sections of skin missing. Meanwhile, Lecter manages to orchestrate a masterful escape from captivity, setting the stage for future books in which he becomes something of an anti-hero. 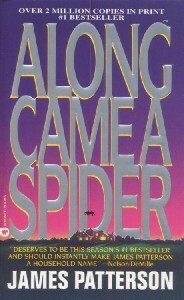 Along Came a Spider has been so successful since it was first published in 1993 that it has spawned a staggering 20 sequels featuring homicide investigator and forensic psychologist Alex Cross. In this first installment, Cross is yanked off a murder case involving the killings of two African American prostitutes and an infant in order to investigate the kidnapping of two white children from a prestigious private school. The racial component plays a large part in this breathtakingly tense novel that introduced the world to the enthralling character and brilliant mind of investigator Alex Cross. The only non-fiction book to make the list, this Truman Capote real crime classic is considered one of the best of its type. Detailing the quadruple murder of a farmer and much of his family, In Cold Blood is told in a narrative style virtually the same as that of a fictional novel, and this true crime book is widely considered to be the first of its kind. While it’s primarily a non-fiction book, there are some details of the book that differ from actual events and Capote takes a certain amount of license in speculating on the private thoughts of both the killers and the victims, but that only makes this book that’s based on a true story all the more spellbinding. 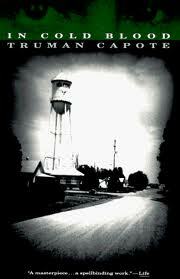 One supernatural tale managed to make it onto our list. In Rosemary’s Baby, the titular protagonist and her husband, Guy, move to a Gothic style New York City apartment, disregarding the rumors they’ve heard about the building having a history of witchcraft and even murder. When Guy, a struggling actor, gets a big break, it seems too good to be true. 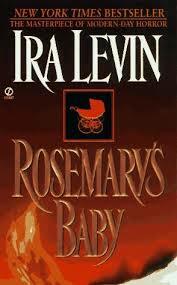 When Rosemary becomes pregnant she discovers her neighbors are leaders of a Satanic cult and she tries to convince people, in vain, that her neighbors want her baby for a Satanic sacrifice. As it turns out, the truth is much more horrifying than she had imagined. Thrillers can also involve the effects of unknown biological entities on everyday people. In The Andromeda Strain, it’s an extraterrestrial bacteria that causes society to go haywire when it is carried back to Earth on a satellite. Those infected are either killed or driven to madness to the point of harming themselves in bizarre ways that bring about their deaths. 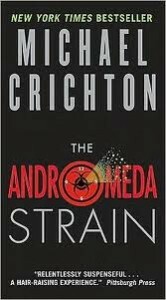 Throughout his career, Michael Crichton was responsible for many thrilling novels, but the otherworldly terror of The Andromeda Strain and its frightening effects on the biological processes of the humans it infects causes this novel to stand alone as one of Crichton’s greatest works, and one of the best thrillers ever.